School Children Wearing Sports Uniform Running Around Cones During A Physical Education Session. Royalty Free Fotografie A Reklamní Fotografie. Image 43346451. Reklamní fotografie - School children wearing sports uniform running around cones during a physical education session. 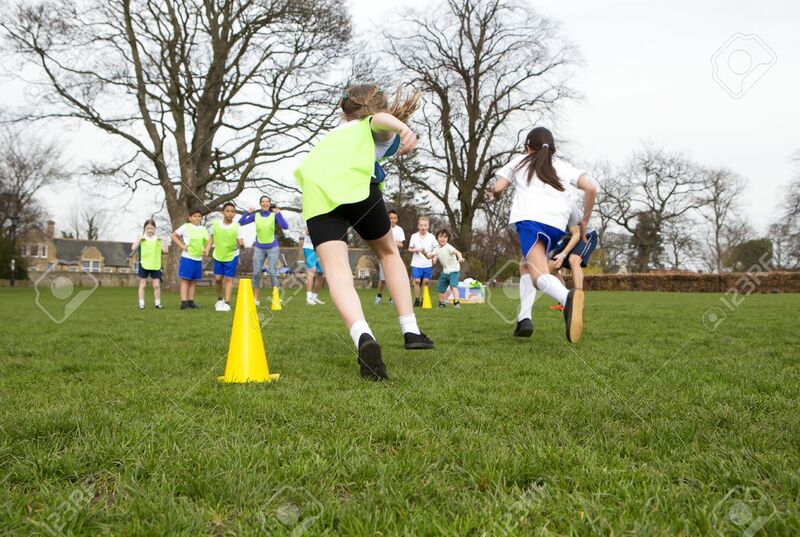 School children wearing sports uniform running around cones during a physical education session.